The time for Strong Bad's grand finale has almost come - Strong Bad Episode 5: 8-Bit Is Enough will be released on WiiWare very soon. Telltale has just released some screenshots for this final episode of the series, along with a trailer (Which is the same trailer you can see in Episode 4). 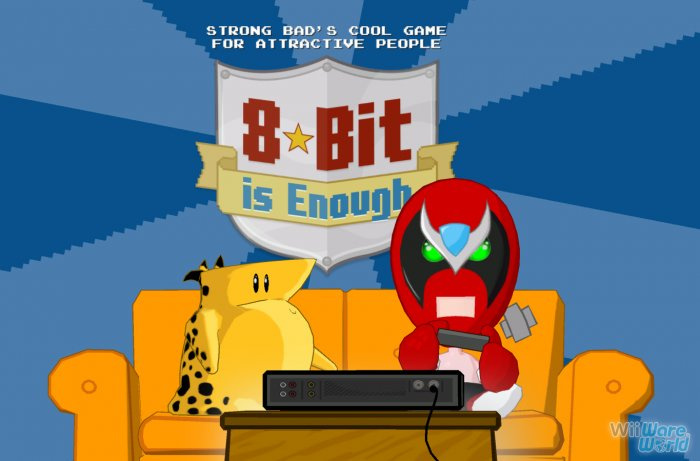 The final episode of Strong Bad's Cool Game for Attractive People! As you can see in the screenshots, the episode will be completely centered around videogames - The "real world" merges with the videogame world after Strong Bad further breaks his already broken Trogdor arcade machine, causing various characters to think they're certain videogame characters, and causing other videogame characters (Like Trogdor) to escape their games. Strong Bad will have to explore both normal areas and the insides of certain games (Such as the ever popular Stinkoman 20X6) in order to turn everybody back to normal and get Trogdor back in his arcade machine. Episode 5 is expected to be released on WiiWare within the next few weeks in the US. Centered around videogames Cool. Maybe there will be more than one "arcade type" game in it. I like that Trogdor is going to be real. it still says "a new episode every month"
shouldn't it say "play the final chapter"? Cool! I saw it on the Nintendo Channel today. Anyone notice that the Nintendo Channel is updated with very little videos now and the WiiSpeak channel launched without any fanfare? i never downloaded a strong bad before but im truely thinking bout getting one...hmmmm!? This looks to be the best Strong Bad of the bunch, bar none. I am now officially looking forward to it 10 times more than I was five minutes ago. I'm definitely getting this. I've only downloaded Ep. 2 (still not done; I'm stuck) and I recently downloaded 4 also which I only played like 10 minutes of. XD I hope this turns out to be exceptionally better than the other 4. I have never watched Homestar Runner (is that what you do, watch it? ), so I know little to nothing about Strongbad, but I hope everyone else enjoys it . I might just break my rule of not buying anymore of these games. I myself am waiting for the unannounced disc release but this episode looks almost as good as Dangeresque 3. @Slambert: We tend to get quite a few videos at the moment, although not one Strong Bad related item is available on the Nintendo Channel here. ...and the trogdor comes in the NNNIIIIGGHHTT!!!!!!!!!!!!!!! wow, i hope it has tons of strong bad renditions of arcade games stinkoman is just like megaman. @Clayfrd: No, you don't just watch it. You live it. The 8-bit Trogdor theme is amazing! I might have to get this one, I haven't got a Strong Bad game yet so this might be my first! Does anyone know of any plans to release all the games on a Wii disc? I don't have enough memory to get them , so a disc would be great. 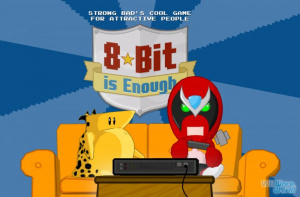 I'm expecting Strong Bad Episode 5: 8-Bit Is Enough to be released this upcoming Monday (December 15th). @Clayfrd: No reason to not know about Homestar Runner. Just go check out the site! Won't cost you anything, y'know. It's a free flash cartoon series, with a few cool (and a few sucky) flash games for good measure. There's even a convenient "first time here?" button on the middle-upper-right side of the screen. Definitely check that out first. Enjoy!